With their elegant curves, these Supreme greenhouses are sure to add a contemporary style to any garden as well as offering a practical place to grow your favourite flowers, fruit, and veg all year long. Supreme by name, supreme by design, this greenhouse range is available from a modest 6ft by 4ft up to a spacious 8ft by 12ft. So whatever the size of your garden, there’s bound to be a fitting model. 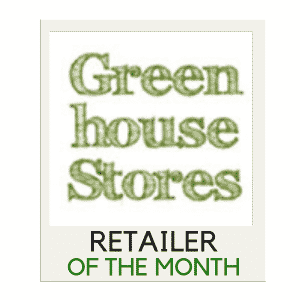 You may have seen the Halls brand of greenhouses in shops and retailers already, and as one of the longest standing manufacturers within England, they definitely know their stuff! 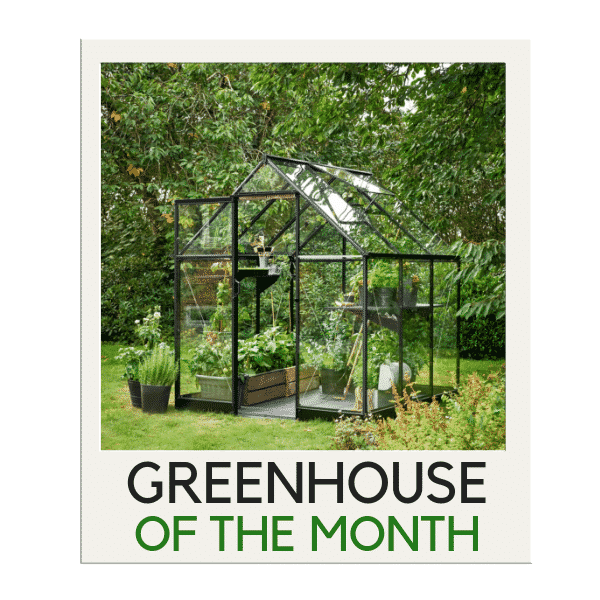 So if you’re thinking of purchasing one of these greenhouse models, but are looking for a little more information about them, check out our full Halls Supreme Greenhouse Review in order to find out the advantages, disadvantages, and features of this exciting greenhouse range. Check for the best price here or scroll down to carry on reading the rest of our review. As far as metal greenhouses go, the Halls Supreme range follows suit with an aluminium frame, offering a durable and solid framework for the glazing to be attached to. The aluminium used is rust resistant and so is an ideal material for long-term use outdoors, even in England with our typical rainy weather, as the aluminium won’t corrode or rust over time. The framing is available in two colour options, standard aluminium silver or powder coated green, although the green finish offers a total of six sizes to choose from, whereas the aluminium silver only has three sizes to choose from. Having the greenhouse frame in powder coated green is no doubt going to be more appealing on the eye, and as a typical garden is full of green grass, plants and shrubs, it’ll fit in with the landscape offering a more natural appearance. Both colour options offer suitable resistance against weathering, although the powder-coated green adds an extra layer of protection. However, if the aluminium suits you, your garden or your budget, then it should not offer any less of a life expectancy than the powder coated version, as long as minimal maintenance is achieved such as washing the frame at least once a year to remove any dirt and grime. 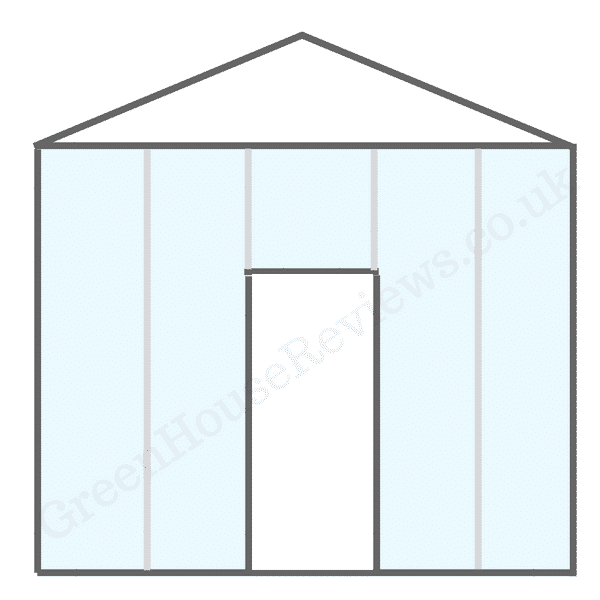 Glazing for your Supreme greenhouse is available in two different options; horticultural or toughened. Although, whichever type you choose, you should know that the roof glazing will be acrylic panes either way. This is due to the curved design which can only be achieved by acrylic, rather than real glass. But don’t worry, the rest of the greenhouse and the main walls will be fitted with the glazing type you prefer. Horticultural glass is the standard and more affordable glazing option, being the most traditional and common type. In the Supreme range, the horticultural glazing is provided in 3mm thick panes which measure 2ft by 2ft each. The panes are placed onto the greenhouse frame and clipped in, slightly overlapping each other. Toughened glass is, as the name suggests ‘tougher’, as it has been tempered to provide a much more durable glazing option. It’s also safer for those who have children or pets playing nearby as unlike horticultural glass, if broken, shatters into tiny pieces, rather than larger, more dangerous sheets. Toughened glass is also 3mm thick and is provided in full-length panes, so one pane fits the full length of the greenhouses’ wall, rather than smaller panes overlapping each other as with the horti option. 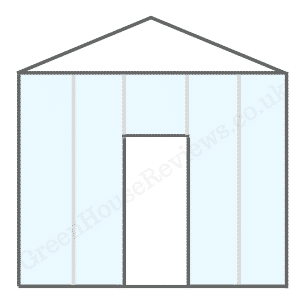 Buyers Tip: If buying a greenhouse online, just ensure that the retailer you choose sells genuine Halls branded glazing along with the frame, as some of the cheaper selling retailers only sell a Halls branded frame and bundle it with their own cheaper alternative glazing and accessories. The Halls Supreme greenhouse range is currently available in the UK with a standard silver aluminium frame or a powder coated green frame. As pictured left to right: 6ft x 4ft, 6ft x 6ft, 6ft x 8ft, 8ft x 10ft, 8ft x 12ft and 8ft x 14ft sizes. All six sizes vary with their external ridge height, starting off at 6ft 5 inches for the smaller sized models and growing to 6ft 11inches for the larger size models. If you’re looking for a greenhouse that looks different and will stand out within your garden setting, then the Supreme range is most definitely one to consider. The curved roof design is a highly attractive feature and the option of six frame sizes gives plenty of choice whatever the size of your garden. Assembly - Installation can take around 4-6 hours for the smaller sizes and 6-8 hours for the larger sizes, although Halls do offer an installation service if you don’t wish to install it yourself. Quality - The framing is of high quality, but we have seen more heavy-duty frames on other brands. Although for the low price, we don’t feel like this should be a negative as you do 'get what you pay for'. Range - With two colour options, six sizes and a whole bunch of matching accessories, the Supreme range offers a lot of extras and customisation, although it does only have two glazing options. Value - Due to the special curved design, acrylic roof panels add extra height when compared to the standard apex design greenhouses. These models are no doubt more expensive, but their elegant appearance would more than make up for it when sited in the garden. Warranty - The hefty 15-year guarantee provided by the manufacturer is a real bonus and gives confidence of the quality and craftsmanship gone into making the range.